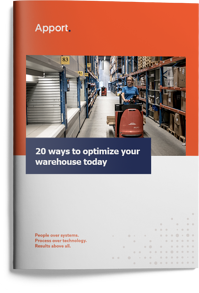 Where do you start, when optimizing your warehouse? What can you get started today which can help you get a more well-functioning warehouse tomorrow? We have allied ourselves with 4 of the industry's leading experts and they will give you 20 good advices about optimizing your warehouse, which you can read in the whitepaper. In this little guide, we focus on some of the low-hanging fruits and we will be considering some of the efforts that require a little more legwork, but in return gives a big return. Torben Storgaard, partner at HerbertNathan & Co.